Preston Murdoch Geren, III, known as Pete Geren, is the 2015 Fort Worth Scottish Rite Anson Jones Honoree. Mr. Geren served as the 20th United States Secretary of the Army and is a former member of the United States House of Representatives from the 12th Congressional District of Texas. He is currently President and Chief Executive Officer of the Sid W. Richardson Foundation in Fort Worth. The Award will be presented to Mr. Geren at the Fort Worth Scottish Rite Grand Annual Banquet on June 6, 2015, in the Fort Worth Masonic Temple. Mr. Geren will meet and greet the 2015 Scholarship Recipients and address the Grand Annual Banquet. 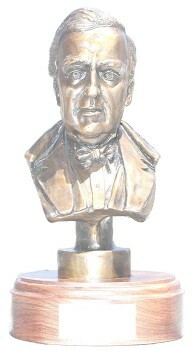 The Anson Jones award is named for the last President of the Republic of Texas and the First Grand Master of Masons in Texas. The award is given annually to a Texas citizen who has exhibited the highest levels of humanitarian and great social consciousness and awareness. Past recipients include Edward Perry “Ed” Bass, an American businessman, financier, philanthropist, and environmentalist who lives in Fort Worth, Tarrant County Judge B. Glen Whitley, and Community Activist and Benefactor Mrs. Tillie Burgin.